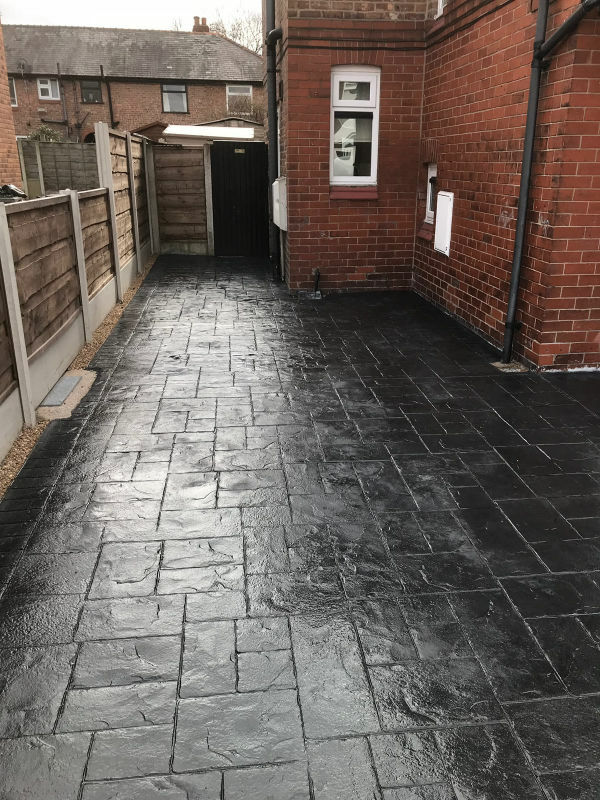 At Lasting Impressions, one of the things we like most about installing pattern imprinted concrete driveways, in the South Manchester and Macclesfield area, is the people we meet. 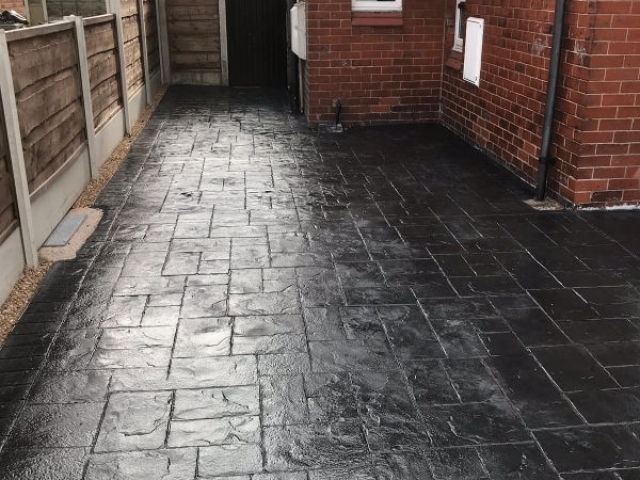 Over the years we have had many lovely customers and one recent example was a nice lady in the Stretford area of Manchester who decided she wanted to update and enhance the space to the front and side of her home. 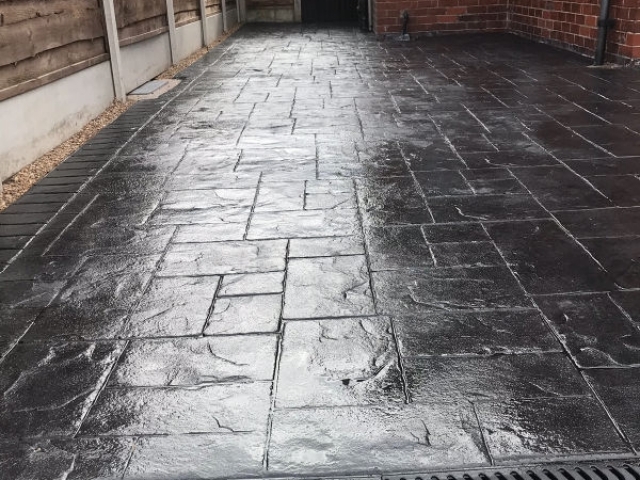 From all the colours and pattern combinations, our customer chose a classic grey colour printed in Ashlar, the latter of which is the pattern. 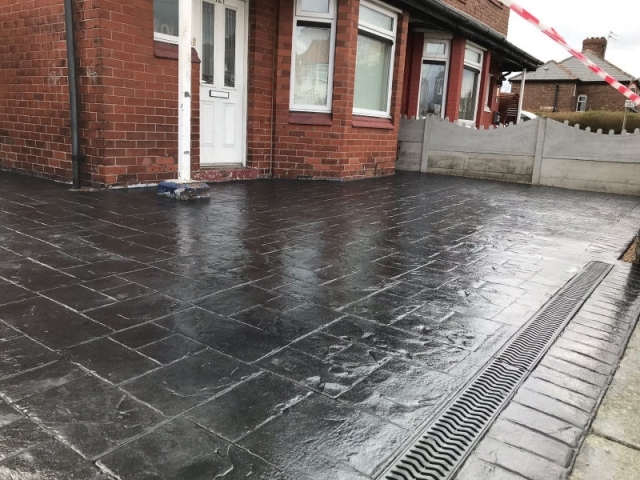 With such as wide range of options available, the great thing about a pattern imprinted concrete driveway is that it can be designed by you to compliment your garden or the style and age of your property. You can see the beautiful results from the colour and pattern chosen by our customer in the pictures provided. 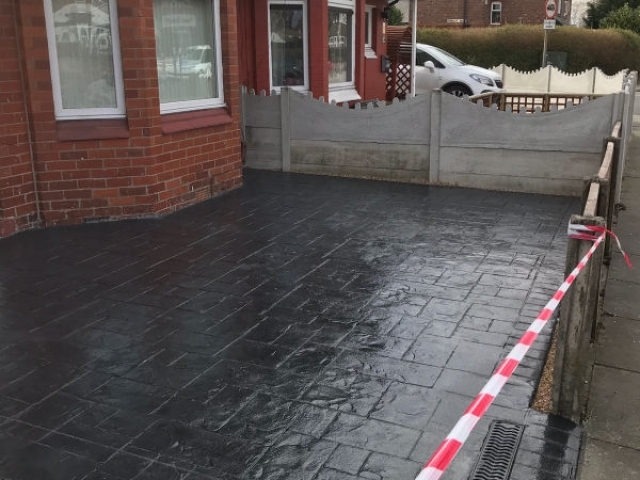 To maximise the colour and pattern the driveway was finished off by sealing it with a mid-sheen seal. 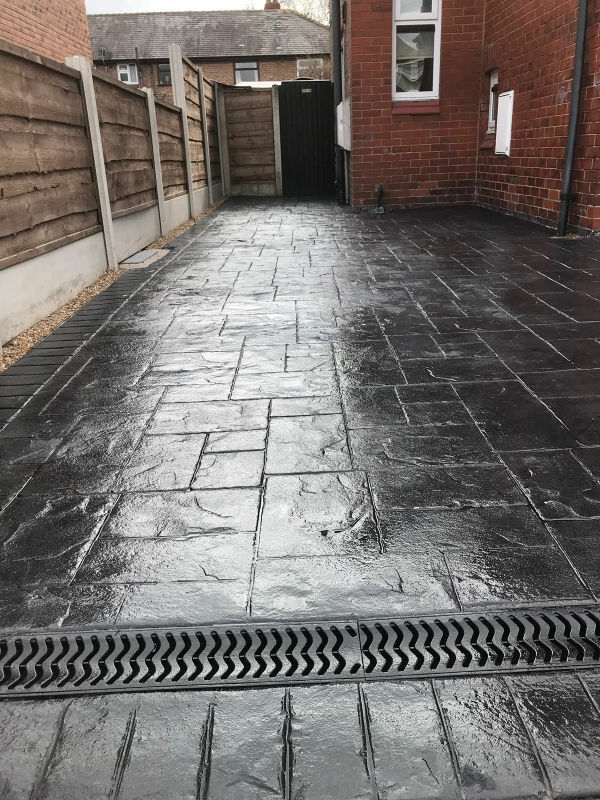 A grid was installed along the front of the driveway to allow for surface water drainage and gravel along the edge of the fence, all of which complemented the overall appearance of the driveway. The first thing that any visitor to your home notices is the driveway. 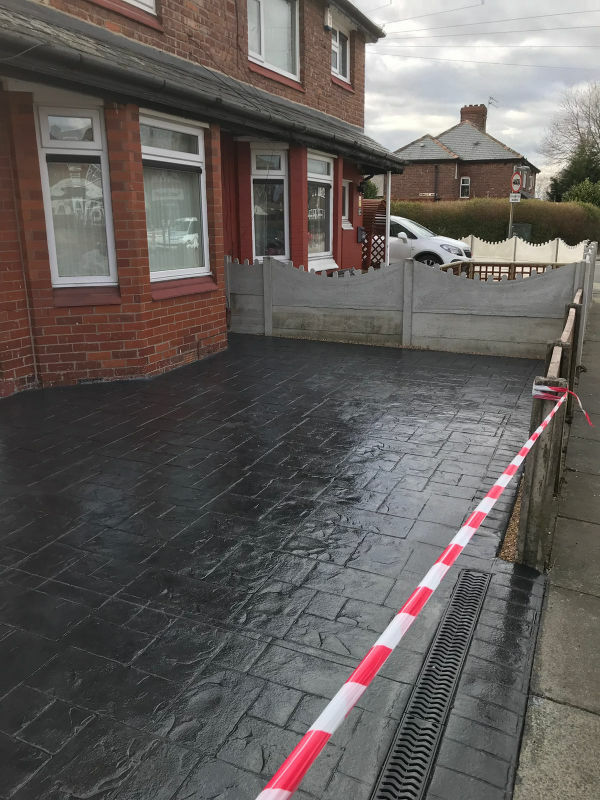 So, make a great first impression with a Lasting Impressions driveway! For more information or to book an appointment give us a ring on 0161 980 8822.